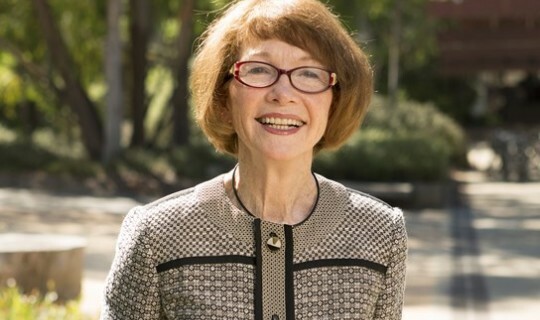 Distinguished Professor Elizabeth Minchin will launch this year’s Greek History and Culture Seminar series offered for the sixth consecutive year by the Greek Community of Melbourne. The lectures are presented by distinguished academics from Australia and overseas. The topic of Professor Minchin’ is “Ancient Greek and Latin – Why study ‘dead’ languages? A personal view”. In this talk Professor Minchin will offer some reasons why, in today's world, we should continue to study the languages and literatures of the ancient Greeks and Romans, who are so remote from us both in time and in space. According to Professor Minchin, there are points of similarity between those cultures and our own. And there are many points of difference (these were slave-owning societies, to name one). “I suggest that as we encounter the ancient Greeks and Romans through their own words we learn more about ourselves and the world we inhabit”. «The Greek Community’s public seminar series is now in its sixth year. This year’s program appears to be bigger than ever with 30 lectures and more interstate and international speakers than ever before,” Said Dr Nick Dallas, Coordinator of the Organising Committee of the Greek History and Culture Seminars. Professor Elizabeth Minchin has taught Ancient Greek and Latin language and literature at the ANU for over two decades. She is particularly interested in strategies for teaching these ancient languages to beginners. As a research scholar she has published studies on various aspects of the Homeric poems (for example, Homer and the Resources of Memory, OUP, 2001; Homeric Voices, OUP, 2007) and has recently been working on the rich layering of myth that is associated with the Gallipoli Peninsula and the region around Troy.